Spotlight has developed two new advocacy guides for members of provincial or district AIDS councils. 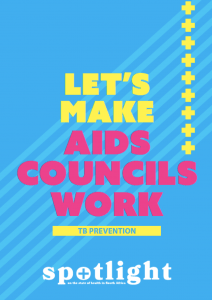 One focuses on TB prevention and the other on retention in care of people living with HIV. 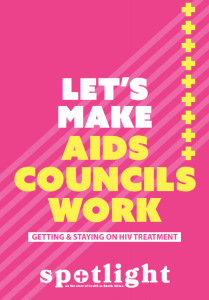 These are practical advocacy guides that we hope will be useful to members of AIDS councils who wish to find district or provincial-level solutions to these two critical problem areas in the HIV and TB response in South Africa. The guides can be downloaded for free by clicking on the links below. The guides have been designed to be printed on A4 pages that can be folded after printing. Let us know what you think about the guides in the comment section below. I stared at the legal document. It looked almost identical to the first time I saw it four years ago, except for paragraph 7 which was longer this time, expanded by a jumble of names that were all too familiar to me. I was surprised by the intensity of sadness that I felt as I read the names and looked through the portraits that I had taken back in 2015. A sense of failure overwhelmed me as I added the photographs of 10 miners to the folder on my computer labelled “passed”. In the legal documents, paragraph 7 contains a list of miners who have died since the silicosis class action was brought against 32 gold mining companies in South Africa. The legal documents lists the 56 applicants who represent thousands of gold miners who have contracted the devastating lung disease from working underground, in poor conditions, under the watchful and knowing eye of a system that prioritised profit over human dignity. But first a step back on how I came to know some of the miners. 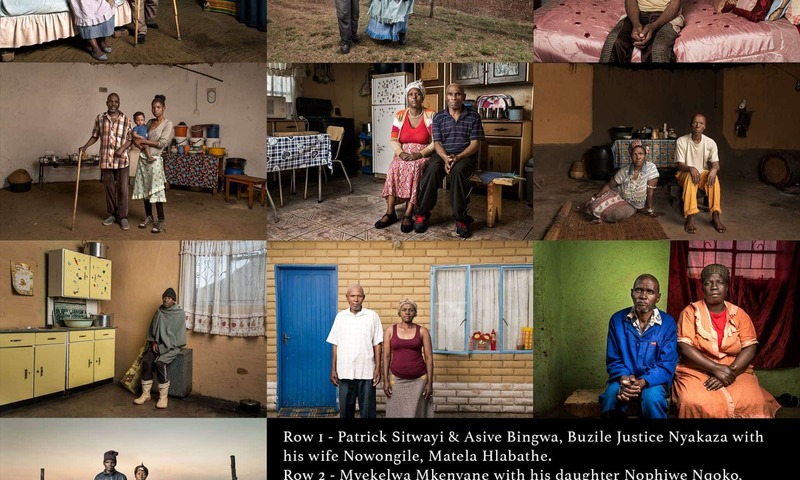 In 2015, SECTION27 and the Treatment Action Campaign commissioned me to do what I at first thought was impossible – use my camera to document all 56 of the applicants named as the representatives of the thousands of miners in the historic class action. 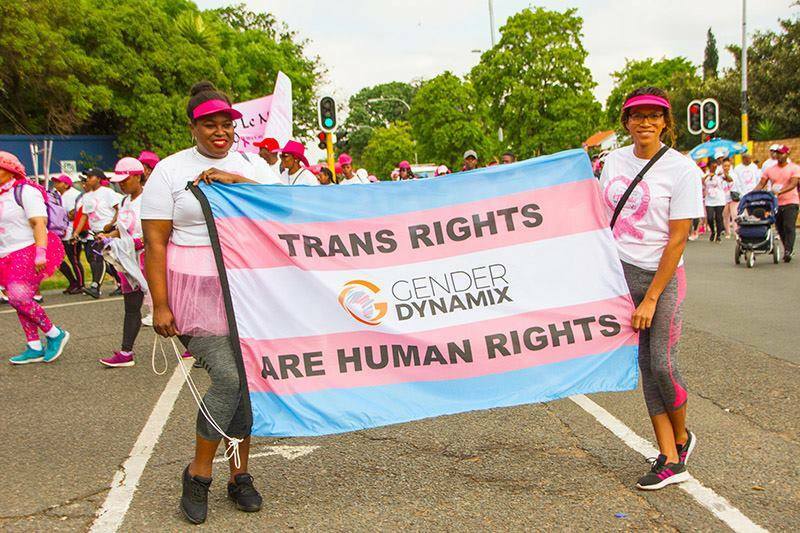 SECTION27 was the legal representative of the Treatment Action Campaign and Sonke Gender Justice who had been admitted as amicus in the case to show the impact at community and household level. There was a feeling that these applicants could merely become numbers and that it was important to show the world who they are and where they live, to make those numbers human. Over 20 days I journeyed through the back roads of South Africa’s Eastern Cape and Free State via the mountains of Lesotho to meet the men and women who were either miners or left behind after the migrant workers contracted silicosis and/or tuberculosis on the gold mines. On the day the class action kicked off in the Johannesburg High Court, we unveiled the “Price of Gold” exhibition in an underground cellar below the Methodist Church adjacent to the court buildings. The full installation, parts of which have been to Cape Town and the rest of the world, involves the recreation of an underground setting with visitors having to wear hard hats in a dark room, where the images are only visible with the aid of head lights. A soundtrack of the laboured breathing of a miner with silicosis is also played during the exhibition. Back to the now and Paragraph 7. SECTION27 and their publication Spotlight, were planning another exhibition of the “Price of Gold” portraits as part of the human rights festival at Constitutional Hill, Johannesburg at the end of March. As I prepared the portraits for printing I requested from one of the legal firms an update on the miners that I had photographed. To be honest, when I requested an update I expected there to be one or two miners who may have passed on by now, if any. 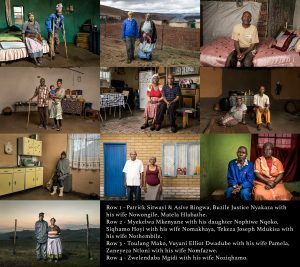 Out of 56 miners, or their families, that I photographed for the project, 10 names had been added to the list of deceased. As I clicked through the photographs I could clearly remember the experience of being with each person, turning up at their homes with only a couple of words of their mother tongue, mostly relying on an interpreter to help me explain what this project entailed. A white man asking to photograph them, to make public the injustice that has been done to them, mostly by other white men. I had to explain to each person that what I was doing would not bring them compensation but that it might help to raise awareness of the injustice, to make the story more public and more accessible. To help more people understand that these are not just names; but people with homes, families and communities. I was welcomed into every home, without exception, my reasoning accepted; and generously given the time and information that I needed to tell their story. As the project unfolded I started to see that the injustice was not solely realised in the violent indignity of a labour force, so dehumanised that their health and safety was of no concern to anyone, often not even to themselves; but that it started by being born into a world, a country and an inhumane system that was specifically designed for them to fail. A world where they were denied a proper education, stripped of their humanity and forced to seek unskilled, underpaid work in, what we have known for many years to be, deadly conditions. Then, when they became sick because of this work, they were dismissed and discarded, with little or no compensation, back into a world within which they did not have the means to prosper. Sent back to their rural homes, sick and poor, with no transferrable skills and no support. I have been around the world to talk about The Price of Gold, to sit on panels and discuss the efficacy of a project that was acknowledged as being instrumental in raising public awareness of this injustice. I have won awards for this project and it has been published and exhibited globally. The court case is ground breaking as a class action, not only because it is the country’s first real class action, but also because of the scale of it. But we have failed the miners AND their families by allowing this to drag on for as long as it has. Yes, there has been a settlement agreement, but for those on the ground the reality is that there has been no compensation paid, the surviving men and their families still live in the same conditions, still struggle to breathe, struggle to work and struggle just to get by. As they die so does the need for them to be compensated and, perhaps the greatest injustice of all is that their families are left without them, and without the right to compensation. These ten men have died, but they represent thousands more that were not named in the court documents and photographed for the project, thousands who may die before compensation is distributed. Thom Pierce is an award winning photographer based in South Africa. His work focuses on issues of human rights and social justice, through a combination of art, documentary and portrait photography. For more information visit thompierce.com. Last week the Conference for Retroviruses and Opportunistic Infections (CROI) was held in Seattle, USA. Spotlight did not attend this year’s conference, but fortunately all CROI abstracts and presentations are made available online. Below we have picked some highlights of relevance for South Africa. From July the antiretroviral drug dolutegravir will become part of the standard first line treatment for HIV in the public sector in South Africa. Also, in 2019, it is expected that South Africa will introduce a new standard therapy called 3HP for the prevention of TB. The 3HP regimen involves taking a weekly pill containing the medicines isoniazid and rifapentine for three months. A study presented at CROI found that it is safe to take dolutegravir-based antiretroviral therapy together with 3HP without adjusting the dosage of either. This is good news for patients, since it means that they will not have to take extra dolutegravir pills as was feared might be the case. The confirmation of safety also means that 3HP is now likely to be included in TB prevention guidelines in South Africa and made available in the public sector – providing a low enough price can be negotiated. You can read HIV I-base’s coverage of the study here. Bedaquiline and delamanid are the only new TB medicines to be approved in decades – both for the treatment of drug-resistant forms of TB. Drug-resistant forms of TB are treated with anything from three to eight different medicines – typically around five. Yet, until now it was not known whether it is safe to use these two new drugs together – both impact heart rhythms (so-called QT intervals). A study presented at CROI found that it is indeed safe to use these two drugs together, providing a baseline heart test is done when treatment is started to rule out pre-existing heart risk. The researchers concluded: “The combined effect on the QTcF interval of co-administration of bedaquiline and delamanid is clinically modest and no more than additive. You can read the full abstract here. This study will likely contribute to updates in both WHO and South African treatment guidelines for drug-resistant TB. Two studies presented at CROI explored the use of monthly injections of the two ARVs cabotegravir and rilpivirine for HIV treatment – the one study in people already stable on HIV treatment and the other in patients newly starting treatment. Both studies found the injections to be about as safe and effective as daily pills. For more detail, see HIV I-Base’s write-up of the two studies here. It now seems likely that, for at least some people, monthly injections will become an alternative treatment option to daily pills in the next few years. The usual issues with price, registration and public sector availability still lie in wait. 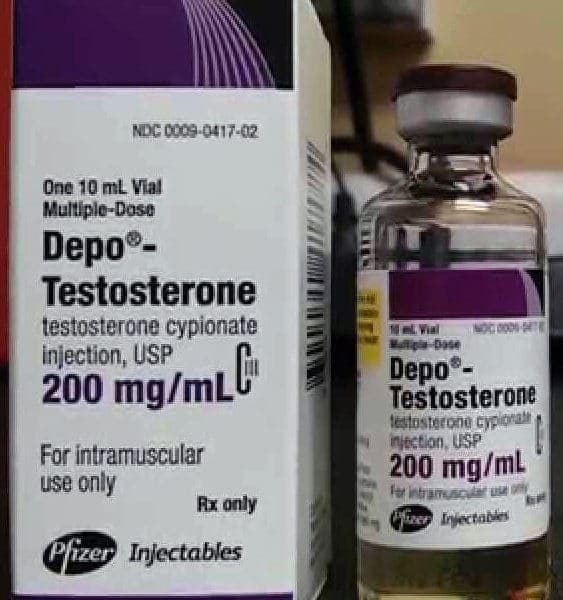 In addition, whether people will prefer monthly injections to daily pills out in the real world remains to be seen – in these two studies at least patients were very positive about the injections. The current gold-standard in HIV prevention treatment is the combination of the medicines tenofovir and FTC in pill form. TAF is a new form of tenofovir that allows for smaller pills and appears to have a slightly better safety profile. A study presented at CROI found that TAF plus FTC was as effective as traditional tenofovir plus FTC in preventing HIV infection while appearing to be better for bone density and the health of the kidneys. 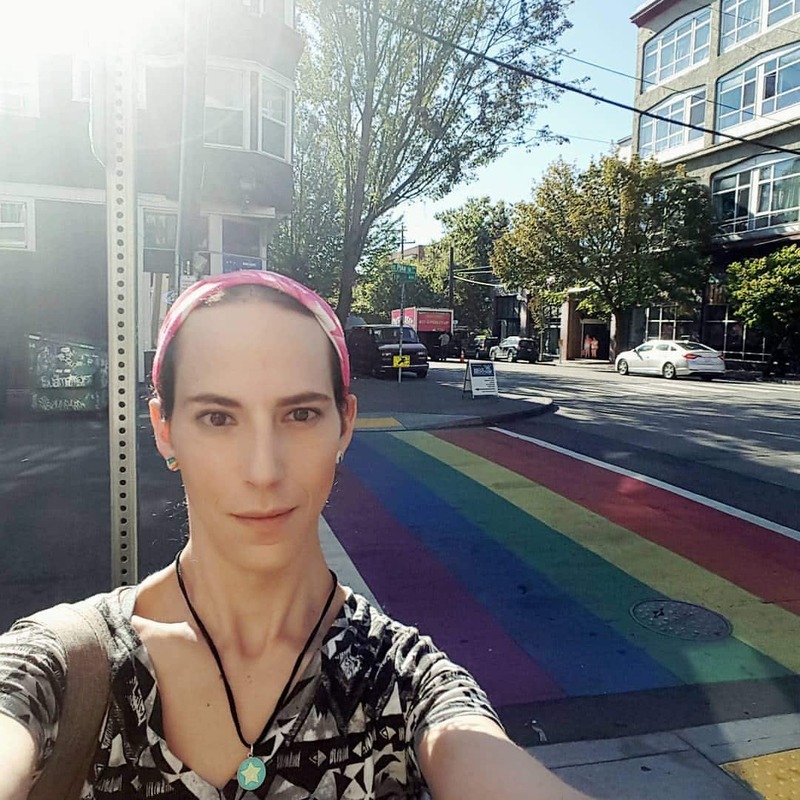 The study was conducted in gay men and transgender women, but the findings are likely generalisable to other groups. TAF has been licensed to the Medicines Patent Pool, so affordable generics of this new option for HIV prevention are likely not too far away. 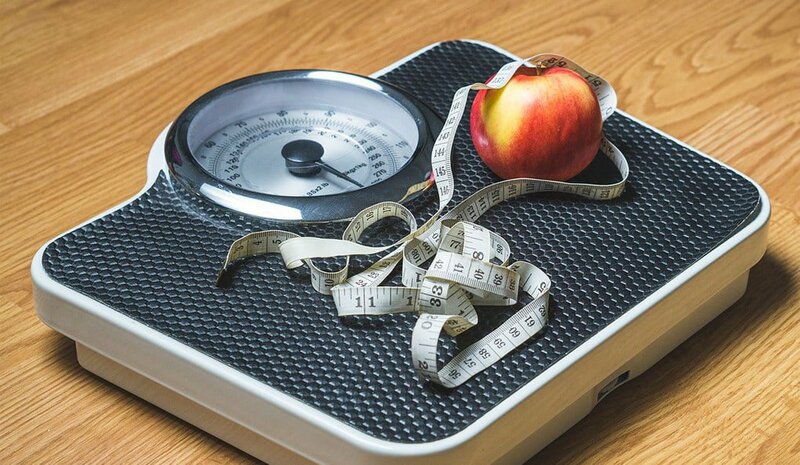 Integrase inhibitors, the class of drugs including dolutegravir, appears to be associated with a slight increase risk of weight gain. There are a number of studies looking at this issue and the findings are not conclusive as to what sub-group of people are most at risk and which integrase inhibitors are most strongly linked, but the general finding of an increased risk seems to be well-founded. As pointed out in a summary of the evidence on the website AIDSMap, the weight gain is fortunately not like that associated with lipodystrophy (a side effect of earlier ARVs such as d4T that lead to abnormal fat distribution that many found stigmatising). Either way, the potential for modest weight gain may or may not turn out to be an issue as dolutegravir becomes available in the public sector in South Africa. PopART is possibly the largest HIV prevention study ever conducted. The key PopART intervention included annual home-based HIV testing provided by community healthcare workers who also supported linkage to care, treatment adherence and other related services. The study randomised 21 communities in South Africa and Zambia to one of three interventions: universal treatment plus the PopART intervention, treatment according to local guidelines plus PopART, and a control arm with the standard of care in the country without PopART. The universal coverage plus PopART arm had a 7% lower incidence rate than the control arm – a finding which was not statistically significant. The local guidelines plus PopART arm however had a statistically significant 30% lower incidence than the control arm. The counter-intuitive finding that incidence was higher in the universal treatment group than the local guidelines group is puzzling. Even so, the underlying indication that community healthcare workers working in the PopART model can help bring down incidence is compelling. AIDSMap reports that it emerged in questions after the session where the findings were presented that the two PopART arms together had 20% lower HIV incidence than the control. To what extent government will implement aggressive PopART-style interventions of course remains an open question. The researchers concluded their abstract: “Community-based HIV testing and linkage is a key component of combination prevention in efforts to achieve effective HIV control.” You can read the abstract here. Getting more men to test for HIV is one of the biggest challenges in South Africa’s HIV response. 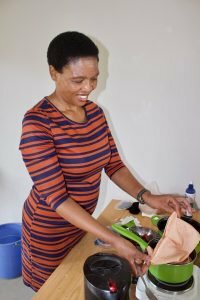 A study conducted in KwaZulu-Natal tried three different interventions to encourage men to take up home-based HIV testing in different communities – comparing all three interventions to the current standard of care. 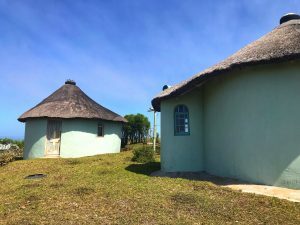 In one set of communities men were offered R50 food vouchers as an incentive to test, in another the vouchers were offered together with male-targeted counselling provided through an App, and in the third the counselling was offered without the voucher. While the counselling App did not have much impact, the probability that men would test was increased by about 50% in the communities where vouchers were offered. The researchers concluded that: “Micro-incentives significantly increased the uptake of home-based HIV testing among men in rural South Africa and should thus be considered as a policy option where HIV testing rates are low.” You can read the full abstract here. Much of the headlines from this year’s CROI were dominated by reports of a second man ‘cured’ of HIV following a stem cell transplant. While these cures are important scientific advances, they are of no immediate relevance to almost all people living with HIV given that it involves an extremely dangerous procedure that one would only risk when faced with the serious risk of death. HIV I-Base has written a good summary of the case here and long-time AIDS activist Gregg Gonsalves did a good job of putting it all in perspective here. 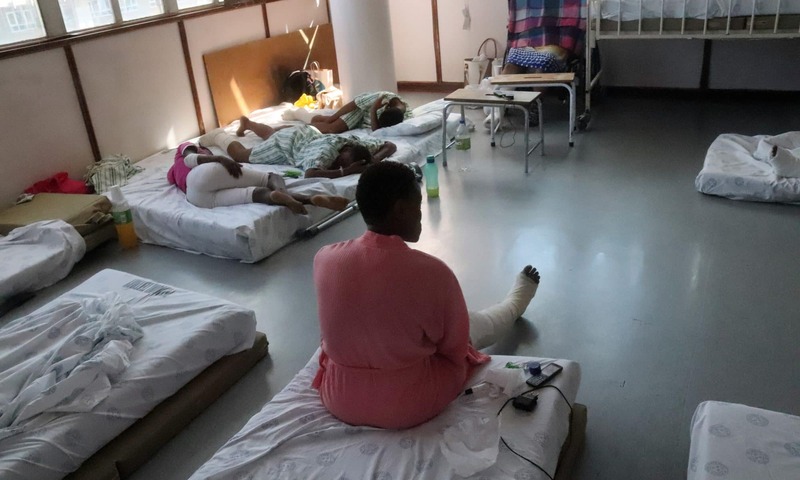 The first few days of March 2019 must have been a time of great uncertainty for migrants in South Africa in need of health care services. On 1 and 6 March, circulars from the Gauteng and KwaZulu-Natal Departments of Health respectively came to light. The Circulars said that all non-South Africans, other than refugees, would from now on have to pay in full for all health care services at public clinics and hospitals. Payment would be due upfront or on discharge. This was a huge change from the current legal position which assures everyone, regardless of citizenship or immigration status, free primary health care services and requires that refugees, asylum-seekers and undocumented migrants from SADC states be treated like South Africans when needing hospital care and means tested to determine their ability to pay. Pregnant and breastfeeding women and children under six are given special protection and assured free services in government facilities. By 3 March the National Department of Health had said that it had withdrawn the national-level memo on which the Gauteng and KwaZulu-Natal Circulars were based. By the following day, Gauteng too withdrew its Circular. After various requests for clarity KwaZulu-Natal’s Acting Head of Health Dr Musa Gumede confirmed on Thursday night (7 March) that their circular had too been withdrawn (Five weeks after it had been sent). So the question now is what this flurry of memos and circulars (and failure to clarify) says about what is happening in the National, KwaZulu-Natal and Gauteng Departments of Health. Over-eager junior officials have taken the blame for the distribution of the memo from the National Department but the Gauteng and KwaZulu-Natal Circulars are more or less in line with the approach to migrants in the NHI Bill. The sentiment didn’t come from nowhere. The NHI Bill repeals the provision of the National Health Act that provides for free health services. It also cuts out entirely undocumented people from NHI and limits services available to refugees and asylum-seekers under NHI to emergency services, services for notifiable conditions of public health concern, and paediatric and maternal services at primary health care level. So if, as a refugee fleeing persecution in the DRC you need to give birth in a hospital or your child is seriously ill or you need ARVs, you will have to pay for them. In this way, the NHI Bill, like the National memo and Gauteng and KwaZulu-Natal Circulars, envisage a step backwards in access to services for people who aren’t South African. This is the opposite of progressive realisation of rights – a constitutional imperative. And so while the battle for now seems to have been won, the war is far from over. In a country with limited resources and a strained health system, there will always be pressure to cut spending. We cannot, however, do so in a way that violates constitutional rights. Hamburg in the Eastern Cape, sits tucked away between the Keiskamma River and Indian Ocean coastline. 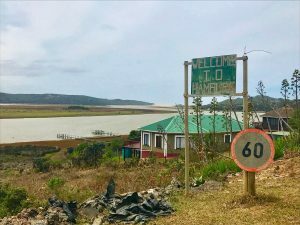 About half way between Port Alfred and East London in the Amathole District, the village filled with artists paints a lacklustre picture of primary healthcare in rural areas. 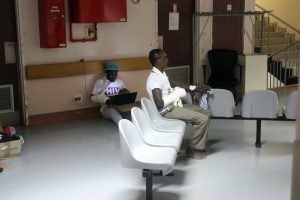 With less than 2 000 residents, one small government clinic and the nearest hospital 40 kilometres away, residents are under strain. In 2013 Spotlight (then NSP Review) published Death & Dying in the Eastern Cape which among others highlighted the dire state of Hamburg Clinic. In 2017 Spotlight reported that the Hamburg Clinic had been in a dismal state since 2012, and after five years of negotiations, the Department of Health agreed to re-build. The project was scheduled to be completed within a year. Spotlight re-visited the community recently. Veronica Betani has lived in Hamburg since 2000, and works as a seamstress and supervisor at the Keiskamma Trust; an internationally known non-governmental organisation with programmes in art, music, education and health. While Nompumelelo Hospital in Peddie is 40 kilometres away, Frere and Cecilia Makiwane in East London are just under 100 kilometres. Currently the Trust has two vehicles that are used for transport to hospitals at no cost to residents. Betani stated that this service has been operating for more than 10 years. Unless residents have a private car or money for a taxi, these vehicles are the only option. 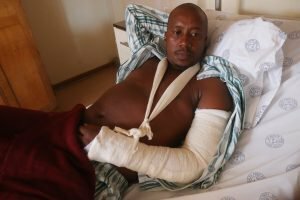 Betani has little faith in provincial emergency medical services (EMS); and with the Eastern Cape reportedly experiencing a shortage of ambulances, the odds of one travelling 15 kilometres off the R-72 on a gravel road to Hamburg, are generally not in the community’s favour. Carol Hofmeyr, Founder of the Keiskamma Trust and general practitioner, knows the community’s health background well. Starting in 2000 Hofmeyr worked in Hamburg in response to the HIV/AIDS crisis before antiretrovirals (ARVs) were widely available. With funding from the Trust, the organisation was able to purchase ARVs for the community. In 2017, the government clinic relocated to a Keiskamma Trust building, next to the new building. It is a small space of only a few makeshift examination rooms, meeting room and a cramped waiting area that might comfortably sit 10 people. At the time Spotlight visited, a small group of school children were waiting patiently, and nursing staff were hurrying off to a meeting. A source at the clinic spoke briefly to Spotlight under anonymity, stating, that everything was fine at the clinic, something other sources would later contradict. The source said that the clinic saw about 700 patients with no issues of patient management or the supply of stock. “When we are out of stock, we order”, they said. The source added that TB infections appeared to be on the decline, with only seven reported cases in 2018 and one so far for 2019. The source said that the new clinic building was to be opened in May. 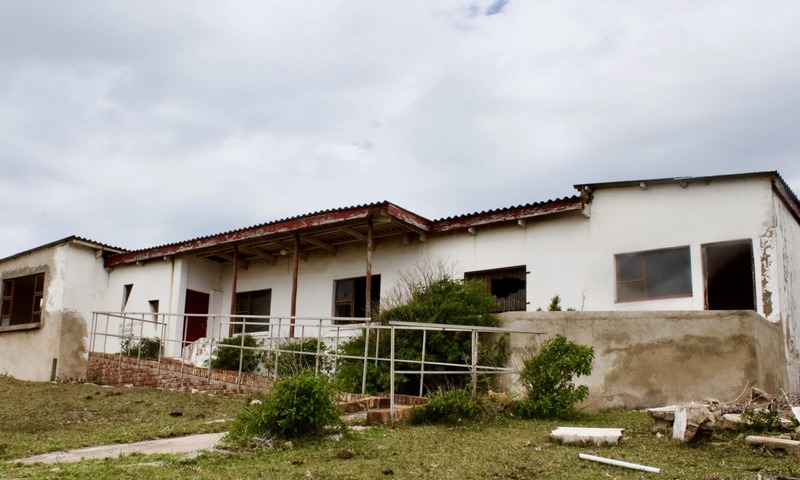 Eastern Cape Department of Health Spokesperson, Lwandile Sicwetsha, told Spotlight that the new clinic was complete but could not be opened due to outstanding water connections. “Our infrastructure department is working on resolving this matter with the municipality. It will only be opened when the water connection has been done.”, said Sicwetsha. 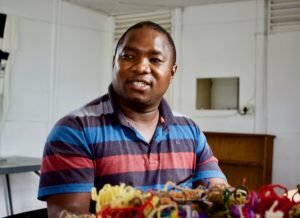 “We were so happy to know that by 2019 we were going to have a clinic but we are still waiting for them to open.”, said Betani. Betani added that frequently the clinic was out of certain medications, another resident said the same, with two of her family members in need of medication on a monthly basis. Marionette Coetzee is a pensioner in Hamburg that lives with her husband and elderly mother; both need chronic medication on a monthly basis that Coetzee can rarely receive from the clinic alone. Coetzee has no transport and often uses a taxi to East London for specialist appointments and additional medication. Due to her family members’ limited mobility, Coetzee visits the Hamburg Clinic and East London hospitals alone. Coetzee showed Spotlight a collection of medication lists that she takes to the clinic each month for her family; from month to month there were clear inconsistencies in the availability of each drug. 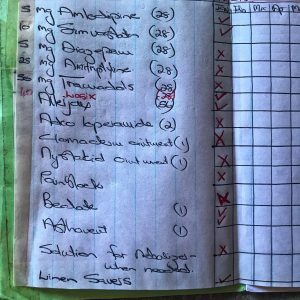 According to Coetzee’s list, on 21 January the clinic was out of drugs including Tramadol, a common narcotic painkiller, Ventolin solution for asthma, and Diazepam for anxiety. 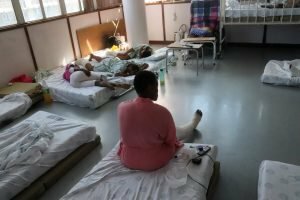 Coetzee also alleged that a nurse at the Hamburg Clinic is often drunk and smells of alcohol, she was not the only resident that expressed this concern. Sicwetsha said the department was aware of the incident and the matter had been referred to the internal employee wellness programme. Nduli* added that although the current clinic’s location was closer, the services had not improved. With elections quickly approaching, the proposed National Health Insurance (NHI) system remains a hot topic, particularly for rural areas. Nduli* had not even heard of the NHI, and other residents who were questioned on how it would affect them. Rural Health Advocacy Project Director, Russell Rensburg, told Spotlight that the NHI was an opportunity for reform in the healthcare system. He described the current system as “out of balance”, filled with issues of management and accountability. Though rural residents will not see results immediately, Rensburg believed the NHI was a step in the right direction. 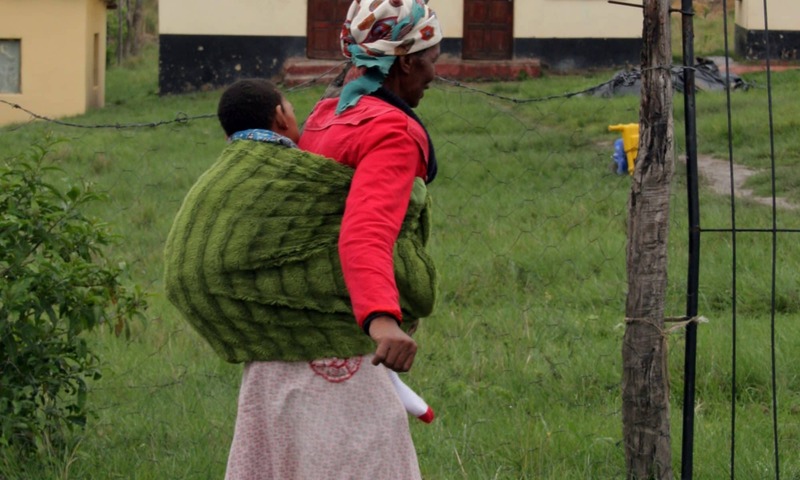 Looking forward, future plans for development of the Eastern Cape’s rural healthcare system are under wraps. Sicwetsha said that “plans for the year will be unveiled during the tabling of policy speeches and strategic documents (Annual Performance Plans, Operational Plans and Strategic Plans).” In the meantime, Sicwetsha stated that the department had partnered with the Keiskamma Trust to ensure outreach services continue in Hamburg and surrounding areas. Kathryn Cleary is a health journalist with Grocott’s Mail in Makhanda, Eastern Cape and was commissioned by Spotlight to write this article.